The Viking Saga departs from the sea wall between Promenade Park and The Hythe for 40 minute excursions out past Heybridge Basin towards Osea Island and then back in the opposite direction. Longer trips are also available. Why not take one of these boat trips? Board for an early start and breakfast as you take the ebb tide down river. 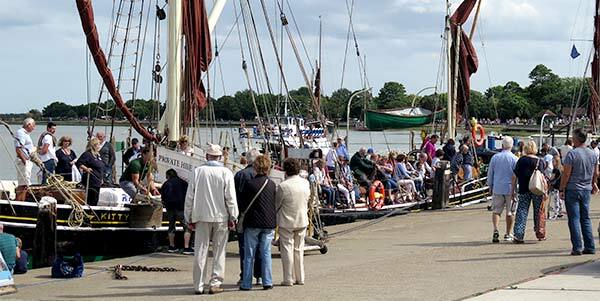 The Blackwater soon widens out and you will sail past Osea Island, Tollesbury Creek, Mersea Island and head into the Colne for a hot lunch. Work off your calories with a wind of the anchor before heading back towards Maldon, finishing with tea and cake.